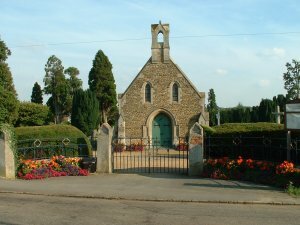 The Town Council is responsible for the Cemetery on High Street, Default. Please note that the purchase of exclusive rights does not confer title to the land occupied by the grave or cremation plot, but the right to be buried there. Exclusive rights last for 99 years from the date of purchase and maybe surrendered at any time on return of the deed to the Parish Council Office.